Any Ancestors during the American Revolution? This is the time of the year many family history researchers reflect on the possibly that they may have some ancestors who lived during or even served during the War for American Independence. Before beginning, one must have verified that they had ancestors who lived between 1776 and 1783, the war years. Many people immediately figure if they ancestor did live during those years; they must have served in the military. If you had an ancestor born about 1766 or later, it is highly unlikely they served. They may have been directly affected as a child by seeing soldiers (American or British), food shortages, injured family members, etc. One major aspect overlooked by many researchers is that their ancestors could have been Loyalists, those supporting England and may have even assisted the British Army in some form. Approximately 15 percent of all the white American colonists were considered Loyalists (also referred to as Tories, Royalists or King’s Men). One possible clue would be if you found family members or whole families relocating during or after the end of the war to Canada, England or other English colonies. Even if they returned to America years later, which many did, they were originally in support of the British Crown during the American Revolution. However, it does not mean that the remaining 85 percent of the colonial white population were full patriots, in active support of the American Revolution. Many of our ancestors from the time of the 1770s to 1780s were pacifists, remained neutral or simply did not state an opinion one way or the other. So roughly 45 percent out of a population of about 2.5 million of those living during those times would have backed the revolution or even less served in the military. 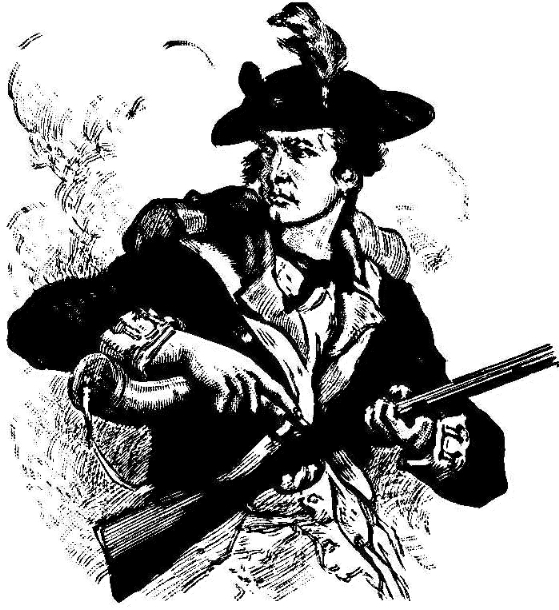 Once you have narrowed down that a male ancestor, born between 1720 and 1763 and living in the colonies between 1776 and 1783 may have supported the revolution there are several sources to assist in confining that possibility. The number one source is the DAR (Daughters of the American Revolution). This organization came about in 1890 dedicated to preserving American history and especially to assist those with ties to revolutionary ancestors. Their vast collection of documentation covering decades of members who have a proven lineal descent to an American Revolutionary patriot is superb. On their web site DAR – Genealogy they offer step-by-step instructions to answer questions on your family linage to the Revolution. They provide a special DAR Genealogical Research System found on the web site. Even with thousands of patriots’ names and information offered not all individuals who served are listed. Somewhere over the decades a descendant had to have applied as a DAR member and submitted lineage documentation. Using the search on the DAR Genealogical Research System will help in seeing if there are any patriots in your ancestry. Use a variety of spellings for given and surnames, since those have changed on the years. Once any ancestor is found information on birth, death, and their spouse, where they lived, their rank in the military and some on the service is provided. Also made available is a listing of those descendants of the patriot with supporting documentation of their linage. This is a further check to see that family names match with what you have already gathered on your pedigree chart.